Booking your holiday with an ABTA Member means that you’ll be able to relax safe in the knowledge that you’ve booked with a reputable travel company. Brexit extension provides certainty that all existing travel arrangements with EU will continue until at least 31 October. ABTA has been a trusted travel brand for more than 65 years, offering advice and guidance to the travelling public, as well as leading the travel industry in supporting high service standards, working with our Members on health and safety, and promoting responsible tourism at home and abroad. Our offer of support, protection and expertise means you can have confidence in ABTA; and a strong trust in our Members. These qualities are core to us as they ensure that you remain confident in the holidays and travel experiences that you buy from our Members. Find out what help and support we can provide you if things haven't gone to plan with a holiday booked through an ABTA Member. If you have a question related to travel, our comprehensive Q&As might just have the answer you're looking for. If something has gone wrong with your holiday, we can offer you advice. 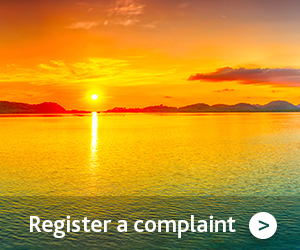 Follow our step-by-step guide to registering a complaint. When you book with one of our Members, you can relax and travel with confidence. Practical tips for all types of travellers on planning and booking a holiday. Mark Tanzer comments on the terrorist attacks in Sri Lanka over the Easter weekend. ABTA’s tenth anniversary of its annual Travel Matters conference is set to see another stellar line up of speakers come together to discuss the travel industry’s ‘Vision for the Next Decade’. ABTA has been a trusted travel brand for more than 65 years, offering advice and guidance to you, the travelling public, as well as leading the travel industry in supporting high service standards, working with our Members on health and safety, and promoting responsible tourism at home and abroad. ABTA is a London Living Wage employer that offers a supportive work environment alongside some superb company benefits and training opportunities. ABTA's Code of Conduct aims to ensure that ABTA Members maintain high standards, and it allows you to travel with confidence. Brexit extension provides certainty that all existing travel arrangements with EU will continue until at least 31st October. Since 2013, there has been more than a 500% increase in the number of compensation claims for holiday sickness with tens of thousands of claims in the past year. Yet, during the same period, reported sickness levels in resorts have remained stable and the problem is only associated with UK holidaymakers. Evidence suggests many of these claims may be exaggerated or fraudulent. If you're planning a ski or snowboarding holiday, whether you’re a beginner or an expert, follow our top tips for a healthy and safe holiday in the snow. Swimming is a fun and relaxing part of most people's holidays, read our tips on how to stay safe in the pool and sea. Balcony safety is crucial when you're on holiday, access our tips, advice and video on how to keep you and your friends and family safe whilst you're away.